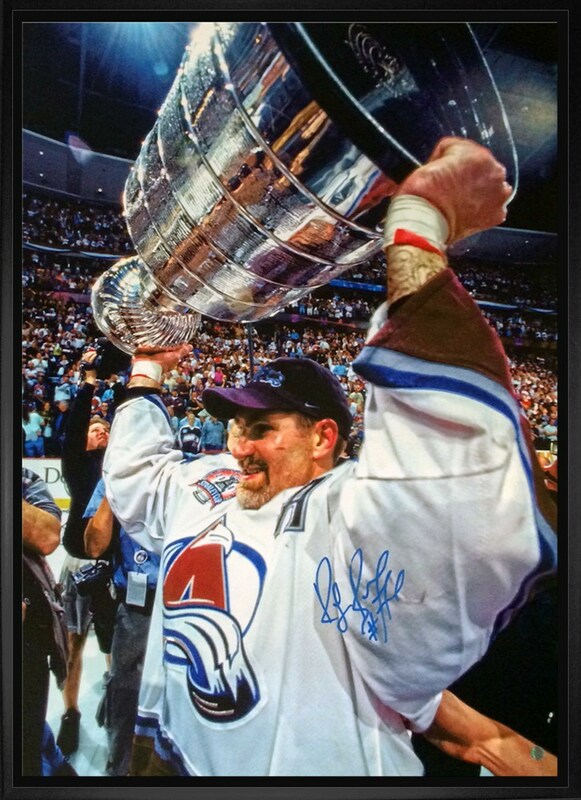 This unique 20x29" framed canvas captures an exalted Avalanche Ray Bourque. Officially licensed by the NHL & NHLPA, the image has been digitally altered to look like a painting and then printed on canvas. The canvas is then stretched and stapled to the back of a 3/4" wooden stretch bar and set in Frameworth's renowned float-style framing. A hologram and certificate of authenticity are included.